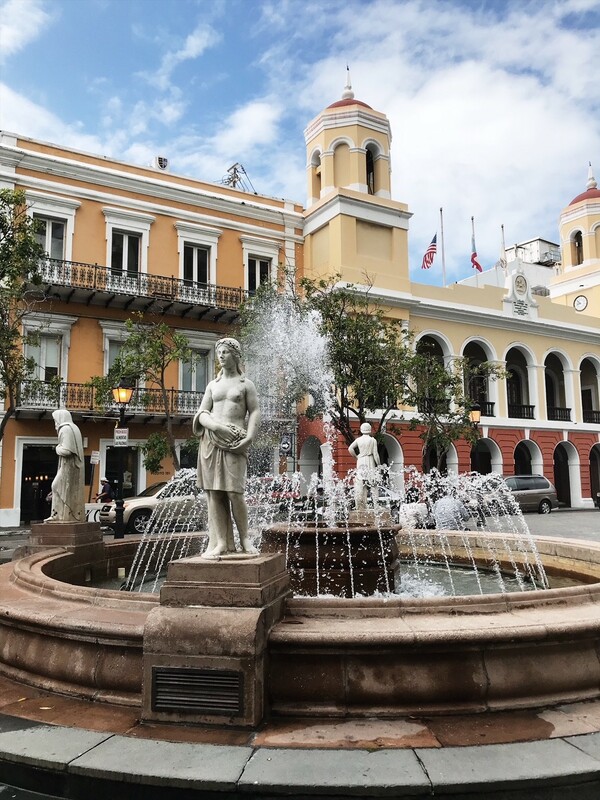 Only a 30 minute flight away is neighbouring Puerto Rico and a taste of the ‘big city’, with malls, highways, historical sites, museums, art galleries, cinemas and the occasional concert tour (even Madonna has toured here). 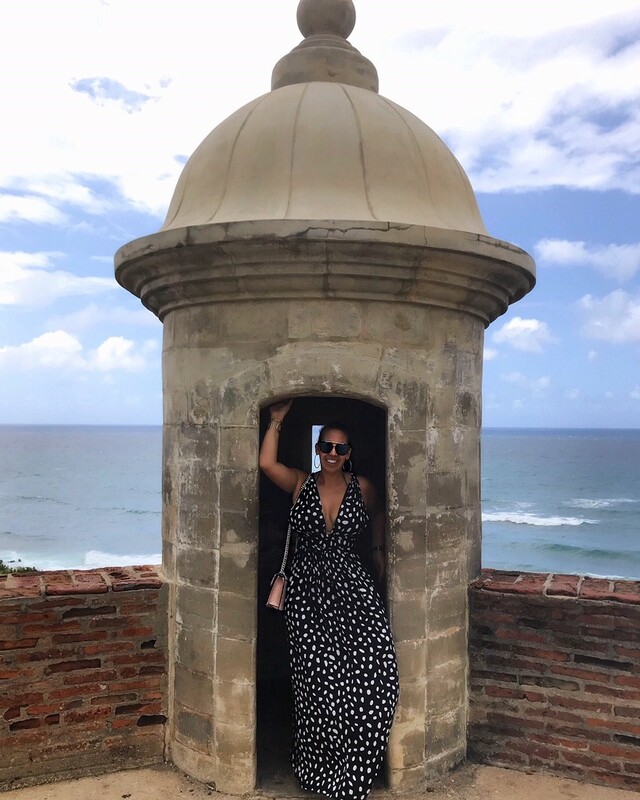 I have visited Puerto Rico, in particular San Juan, a number of times during my years in the Caribbean – sometimes with the husband and often with my girls. 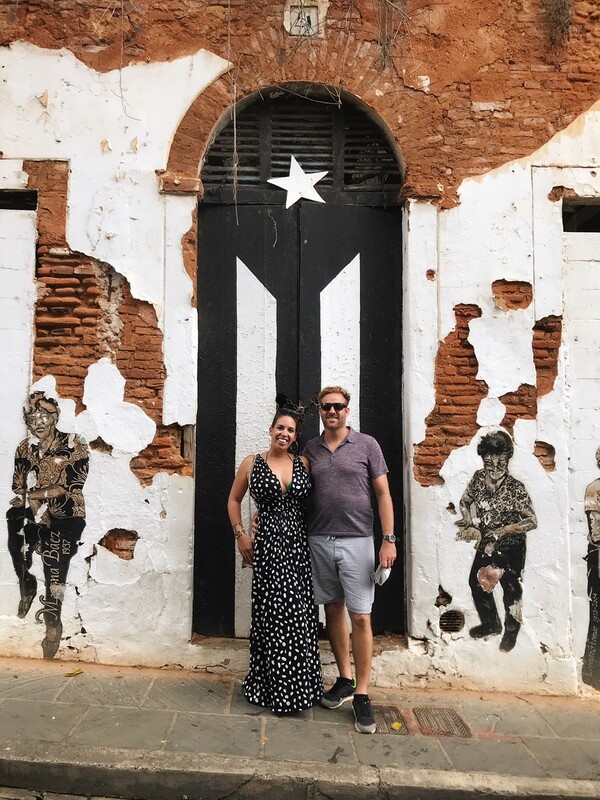 After category 5 hurricane Irma hit us and then category 4 hurricane Maria pummeled Puerto Rico, life has been a little different and I was desperate to get over there and see how they were getting on! Finally I got the opportunity to visit this weekend and spent a happy couple of days getting my fix of Puerto Rican food, culture and hospitality. Sadly a few of my favourites have closed since the storms (physical damage and then a slow tourist season has made for really tough times in the hospitality industry) but I was thrilled to visit some of my old haunts and make new favourites on my trip this weekend! 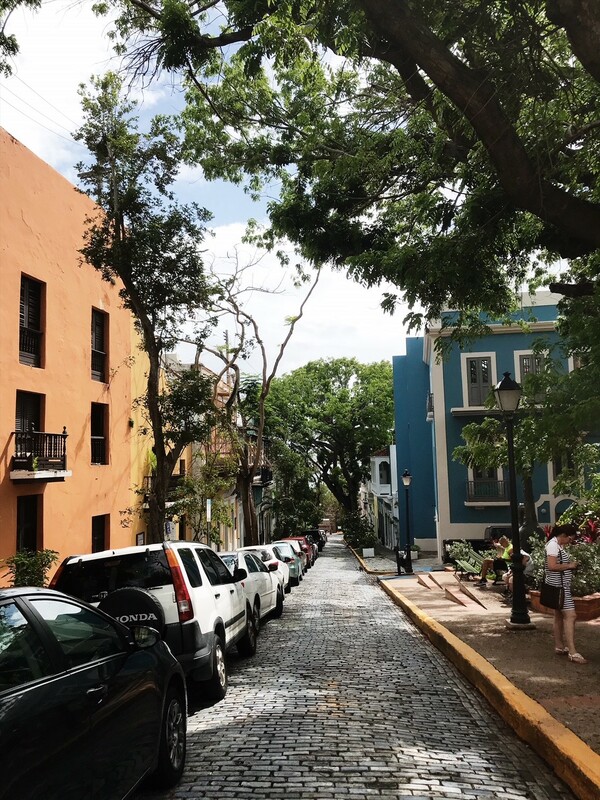 One of my favourite things to do in Old San Juan is just to take a wander through the squares and streets. The colourful Colonial buildings are beautiful (I always like to pick favourites and imagine which one I would like to live in) and there are painted murals and bits of street art dotted around too. Stop for coffee, sit outside and people watch. There are lots of little coffee shops and bars where you can sit and pass the time, opportunities to rest your legs after lots of exploring, or ‘shopping breaks’ as I like to call them. 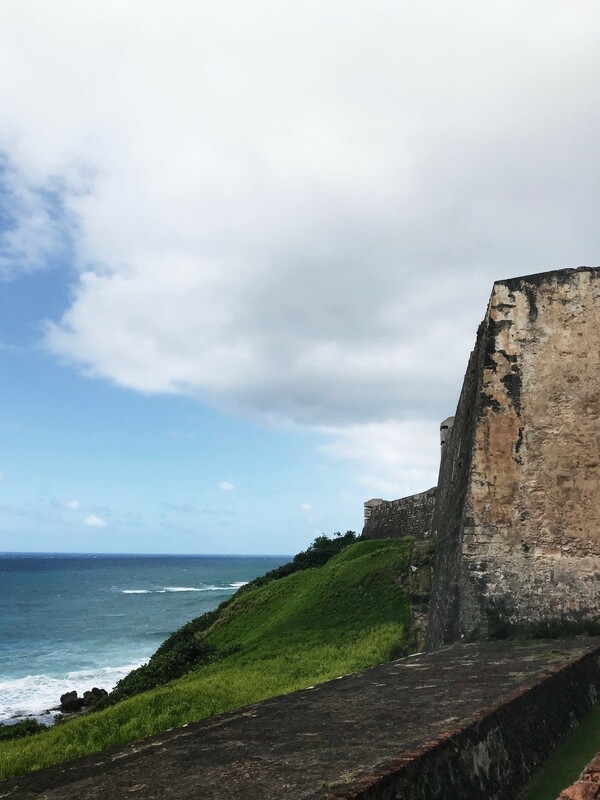 Get up to the top of Old San Juan, take a stroll along the old fort walls and explore the castle ramparts. There are beautiful views of the ocean and locals ride their bikes and run along this stretch of the city – sometimes families will come up at the weekend to fly kites. 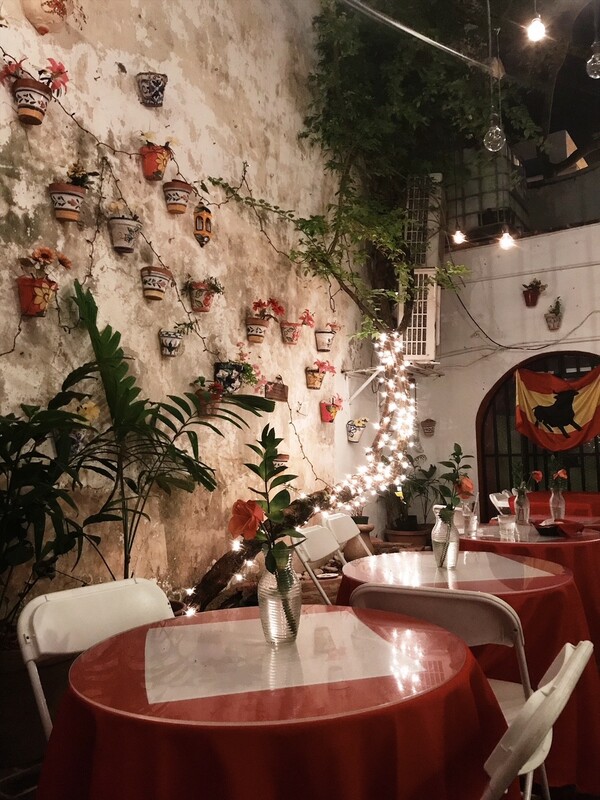 My favourite restaurant in San Juan (if not the world) is Marmalade restaurant. Their tasting menus with wine pairings are a treat for the eyes and the tastebuds. Inventive, unusual and always with impeccable service. This is not a budget meal, but worth every cent – tasting menus start at $55 pp for three courses and go up to $85 pp for six courses. 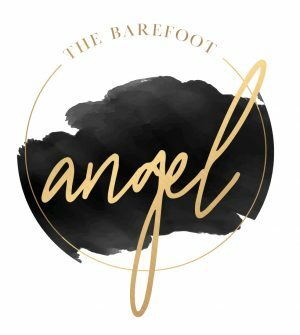 I recommend opting for four ($65) or five ($75) courses depending on your budget to give yourself the opportunity to sample lots of their dishes. Save it for a special occasion, dress up and enjoy it. Top tip – try the Global Warming cocktail pre-dinner, your margarita-based libation has a large ice cube made of chili water, the longer you take to drink it, the hotter it gets. 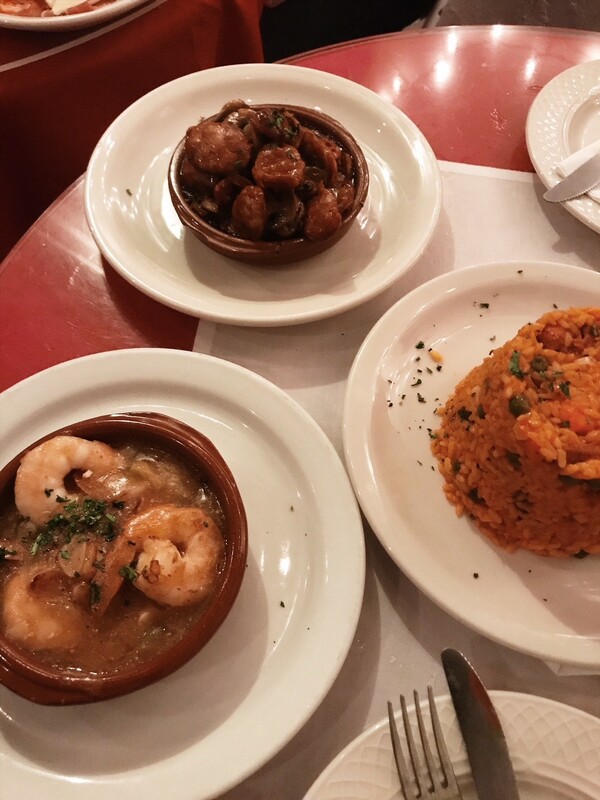 For a more budget-friendly meal, head to this delightful little tapas restaurant. Ask for a table outside in their little courtyard, lit with fairy lights for a really charming dinner experience. 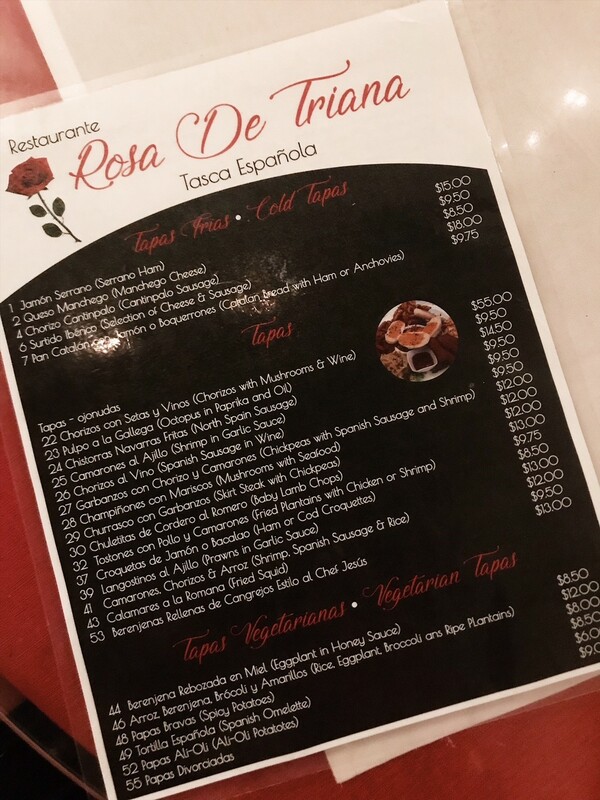 Most of the tapas dishes cost between $8-$12 so you can order a few to share. 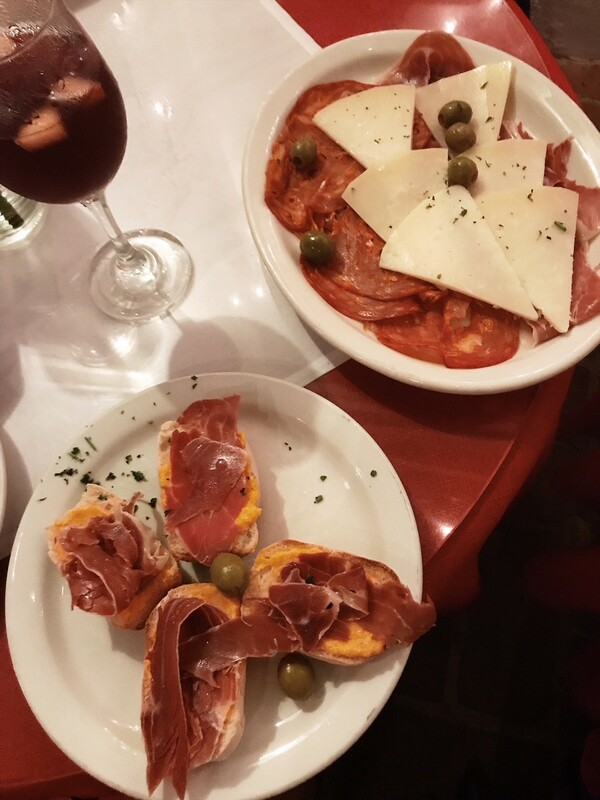 The tapas is traditionally Spanish, rather than Puerto Rican, and really delicious! After your meal walk off your food with a climb up the hill to La Taberna Lupolo to avail yourself of their extensive beer menu – reading like a wine list there is a huge variety of lagers, bitters and IPAs all inventively named (yes, ‘Kilt Lifter’ I’m talking about you). 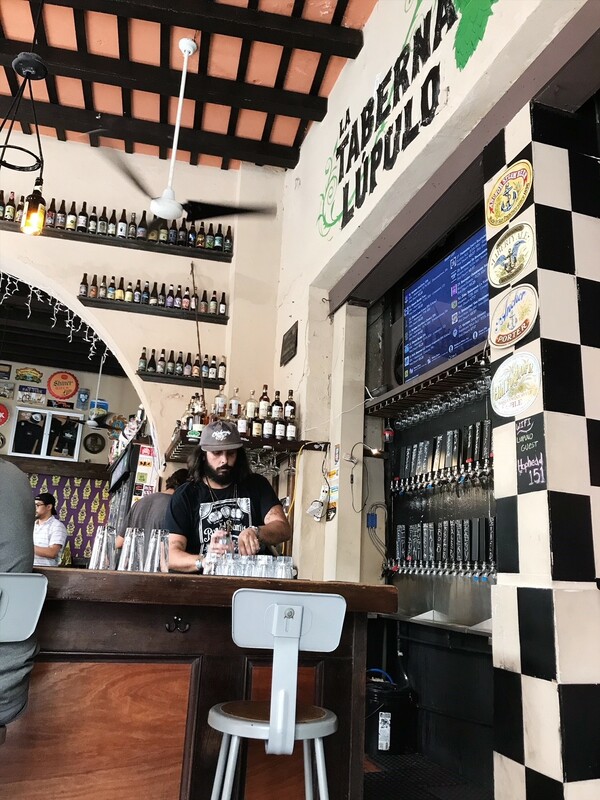 This time I tried their rum punch, but even that was beer-related as it included hop oil! 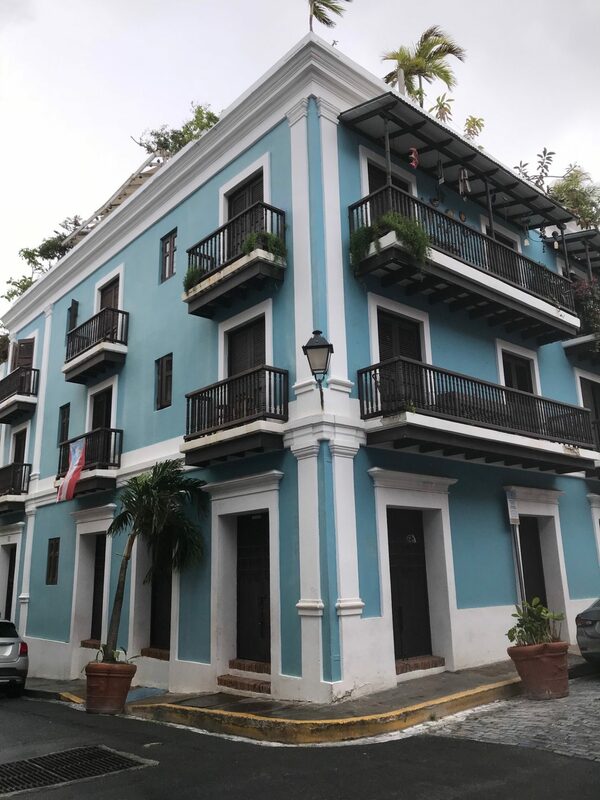 Not just a hotel but a piece of San Juan history, El Convento is known for its beautiful but quirky rooms. It also has a gorgeous tiled courtyard restaurant which serves excellent tapas for lunch and is well worth a visit, even if you decide to stay elsewhere. If you’re a fan of a cheap and cheerful, unique boutique hotel, this one is for you. Moroccan inspired decor with silver walls, four poster beds, lots of mirrors and tiled sinks can be found in the rooms – while downstairs in the lobby is decorated with giant chandeliers, huge orchids, original artwork and the film ‘Casablanca’ playing on a loop. Located right in the thick of it on Calle Fortaleza, street noise can be an issue. If you’re planning on any early nights keep this in mind and opt for an internal room (no windows means not street noise). 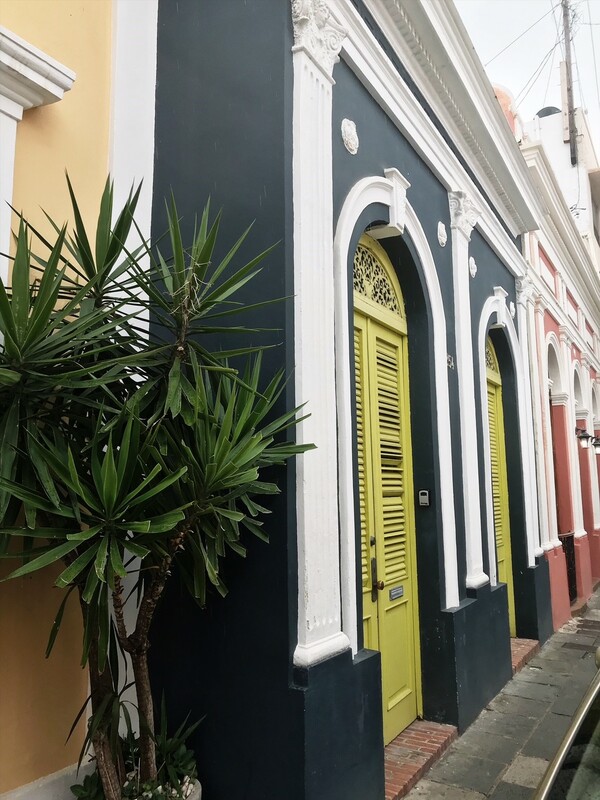 Old San Juan is full of little boutiques and galleries, all of which are well worth exploring, but here are a couple of my personal faves. 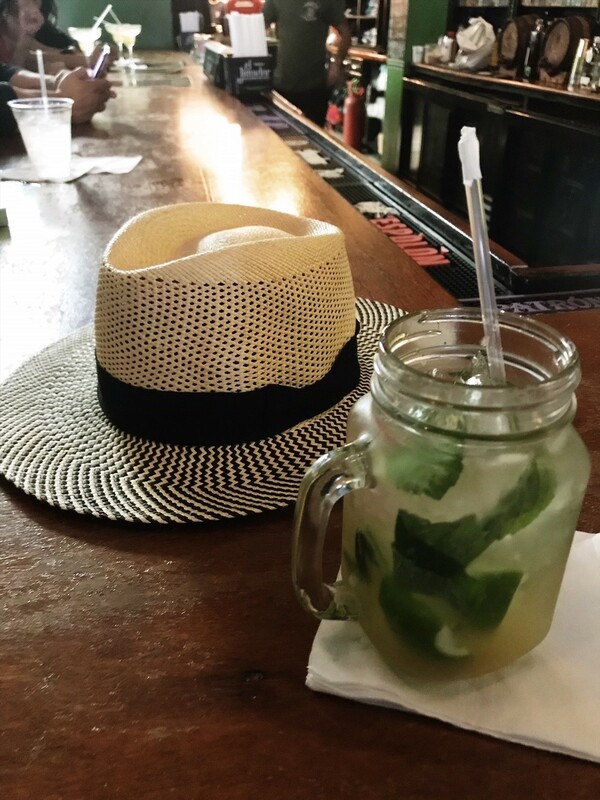 Selling genuine Panama hats, cigars and local artwork and with some of the best and friendliest customer service in the whole of Puerto Rico, stop in here if you want a quality sun hat that will last. Great fashion, jewelry, accessories and even some bath and body products can be found in this pretty little store, at Pure Soul Boutique. 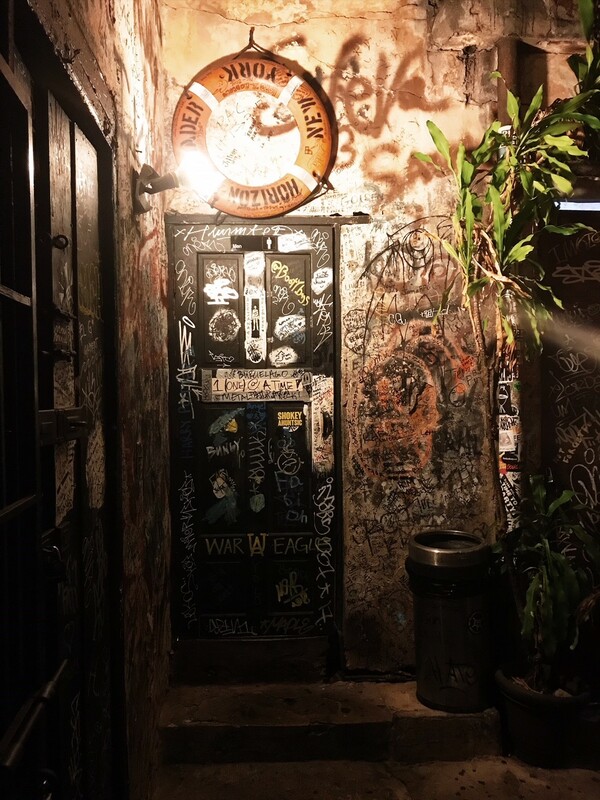 Old San Juan has a host of galleries and boutiques showcasing local art – but my favourite is Galeria Botello. Featuring sculptures and other artwork by Angel Botello alongside various international artists. For when you want to do more, see more, explore more and cram more into your day! What better way to get around the old city, but with a bicycle. There are a few bike rental places around, either rent the bicycle for the day or even take one of the guided bicycle tours – find out more here. 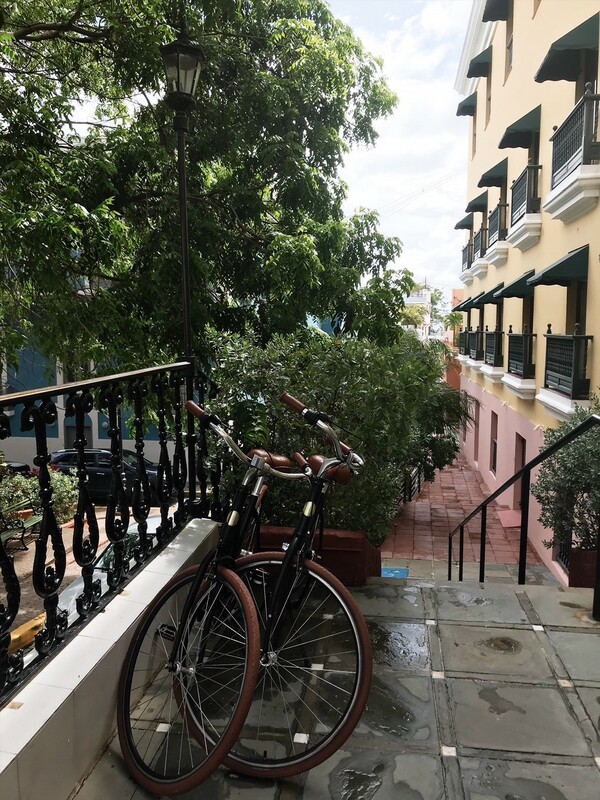 Have you been to Old San Juan? Do you have any tips or suggestions for me to try out next time I visit…? Puerto Rico is such a convenient destination with direct flights from many of the main US cities. If you’re a US citizen traveling from the US you won’t even need your passport! As an International airport, the Luis Muñoz Marín International Airport (airport code: SJU) is also a direct flight from many European capitals. Check Skyscanner for cheap flights to San Juan and set an alert to watch when the prices drop. Please always remember to take out travel insurance whenever you travel – lost belongings, missed connections or a host of other travel woes can really impact your trip. As expats we always use World Nomads because of their flexible coverage. Puerto Rico looks stunning!! We’ve never visited but would love to go. Your photos are beautiful, you’re very lucky to live so close. Thank you! Yes, so lucky! So beautiful and so much fun to visit! When I was last in Puerto Rico It did NOT look this nice! I will surely take these tips with me next time I go! Beautiful Pictures! And that Top Tip Global Warming Cocktail sounds AMAZING! Puerto Rico looks amazing! Your photos are beautiful! I have never been to Puerto Rico but I’d love to go! Thanks for sharing! Very useful guide, saving this for my upcoming Puerto Rico trip. Oh my goodness, you are going to have such a fantastic trip!! 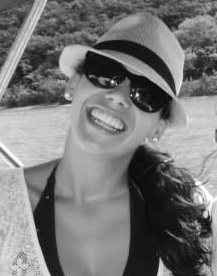 I’m jealous as I want to go back! What a beautiful city! I love all the architecture! Such a beautiful and cool place. I would love to visit Puerto Rico. I think I would need to get one of those hats, and I would love to salsa! I LOVE THIS! Your pictures are great. Funny, I have some of the same images from our trip. The black door, I stumbled upon and stood there for the longest time snapping pictures. My family met me for lunch and I took them back for more images. That façade was stunning! I love it there.